Alsford, Niki. 2018. 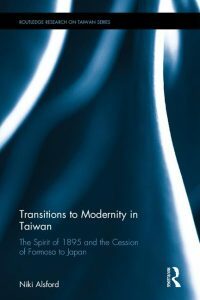 Transitions to Modernity: the Spirit of 1895 and the Cession of Formosa to Japan. Abingdon: Routledge. Ptáčková, Jarmila, and Zenz, Adrian. (eds.). 2017. 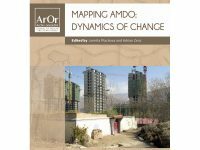 Mapping Amdo: Dynamics of Change, Archív Orientální. Supplementa X, Prague: Orientální ústav. Steuer, Clement. “L’Egypteaprès les électionsprésidentielles: Observatoiredu monde arabo-muslmanet du Sahel.” FondationPour La Recherchestratégique. September 2018. Klimeš, Ondřej. “China’s Cultural Soft Power: the Central Concept in the Early Xi Jinping Era (2012–2017).” Acta Universitatis Carolinae Philologica – Orientalia Pragensia 4 (2017), 127-150. DOI: 10.14712/24646830.2017.45. Petrů, Tomáš: “A curious trajectory of interrace relations: the transformation of cosmopolitan Malay port polities into the multiethnic divisions of modern Malaysia.” Asian Ethnicity(April 2017). Petrů, Tomáš: Bahasa Indonesia as a Political Tool: from the language of the revolution to bureaucratic „officialese“. In Intercivilizational Contacts in Southeast Asia: Historical Perspectives and Globalization. St.Peterburg: Saint Petersburg State University Press, 2017, pp 224-247. Weingarten, Oliver. “The Unorthodox Master: The Serious and the Playful in Depictions of Confucius.” In: A Concise Companion to Confucius. Ed. Paul R. Goldin. Hoboken: Wiley, 2017, 52–74. Weingarten, Oliver. “Chunyu Kun 淳于髡: Motifs, Narratives, and Personas in Early Chinese Anecdotal Literature.” Journal of the Royal Asiatic Society 27.3(2017): 501–521. Exnerová, Věra. “Radical Islam From Below: The Mujaddidiya and Hizb-ut-Tahrir in the Ferghana Valley,” In: Jones Luong, Pauline (ed. ): Islam, Society and Politics in Central Asia, University of Pittsburgh Press 2016. Weingarten, Oliver. “What Did Disciples Do? Dizi 弟子 in Early Chinese Texts.” Harvard Journal of Asiatic Studies 75.1 (2015): 29–75.